Leiweke, the Oak View Group CEO with deep NBA and NHL ties, has promised to renovate KeyArena for $600 million. And after learning from missteps in Kansas City, Mo., and Los Angeles, he believes his company can bring teams from both leagues to Seattle. LOS ANGELES — Tim Leiweke leans back on a plush couch in his private office and gets an earful about the previous day’s NHL board of governors meeting. 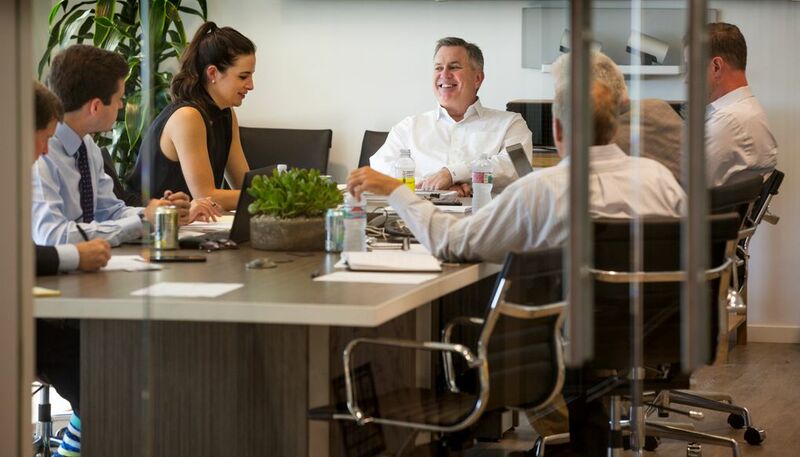 The couch is Leiweke’s preferred spot for conducting business at his two-year-old Oak View Group (OVG) sports venue company’s headquarters. Seated on the cushion to his left is OVG executive Peter Luukko, who also serves on the NHL’s board as executive chairman and acting governor of the Florida Panthers. 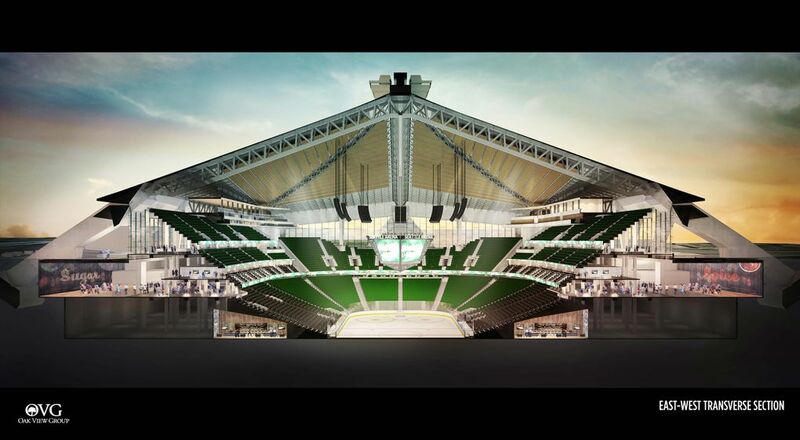 Leiweke hopes to land an NHL franchise as part of his company’s planned $600 million renovation of KeyArena. For 20 minutes, Luukko briefs him and a handful of OVG officials on where the league’s owners stand. It’s expected the NHL will grant Seattle a team if the city council next month approves a Memorandum of Understanding on OVG’s remodel. 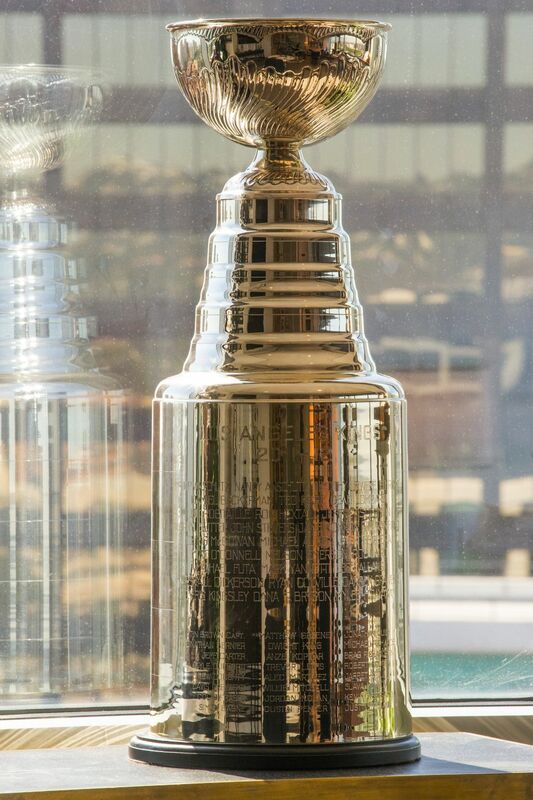 But for all of Leiweke’s hockey ties — he won a Stanley Cup as president of the Los Angeles Kings in 2011-12 — his NBA connections run deeper. OVG’s main financial backer is James Dolan, whose Madison Square Garden Co., owns the NBA’s New York Knicks. Leiweke also has 30 years of contacts from executive jobs with four NBA teams. In a city still stinging from the loss of the Sonics nearly a decade ago, Leiweke’s close ties to the NBA could offer a glimmer of hope to fans aching to see the return of that league to Seattle. Yet, some skepticism remains about Leiweke’s ability to deliver an NBA franchise. Leiweke from 1996-2013 ran what morphed into Anschutz Entertainment Group (AEG), achieving global success building and operating stadiums, arenas and teams for reclusive Denver billionaire Philip Anschutz. But there also were some misses. Supporters of a rival Seattle arena project — a new facility pitched by entrepreneur Chris Hansen for the city’s Sodo District — note that Leiweke built Sprint Center in Kansas City, Mo., without delivering promised tenant teams. Also, those supporters note that Leiweke similarly touted a “Farmers Field” stadium project in Los Angeles to lure back the NFL, but it never was built. Leiweke left AEG in March 2013 over the Farmers Field venture, having feuded with Anschutz over cost. 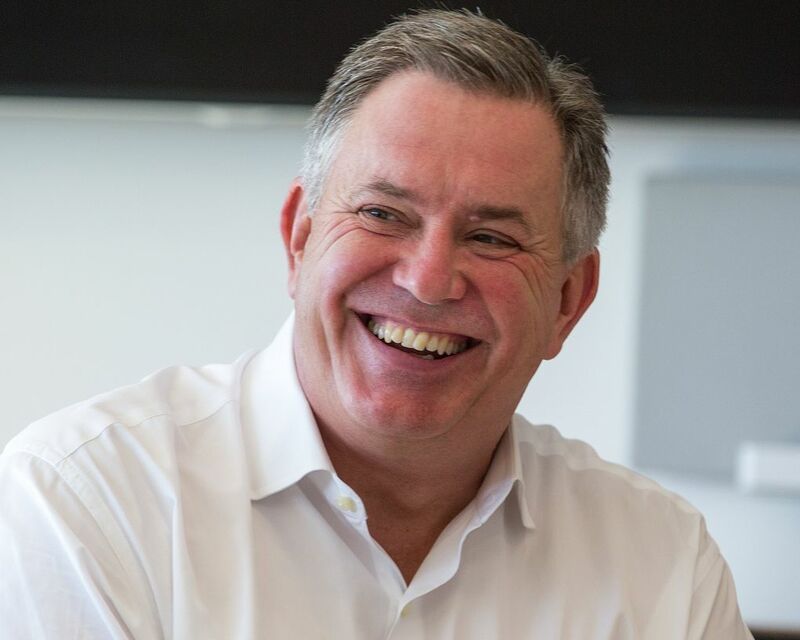 Gaining greater control and avoiding similar missteps is a big reason Leiweke, 60, co-founded OVG in November 2015 alongside music-industry titan Irving Azoff. Leiweke envisions KeyArena being sustained initially by about 50 annual concerts through an OVG partnership with LiveNation. He dismisses the notion he’d forsake basketball in Seattle to profit solely off concerts and hockey, as some have suggested. What he can’t do, he says, is promise an NBA team not yet available. In Kansas City, he had promised teams “within two years” of Sprint Center opening in 2007. But a planned relocation of the NHL Pittsburgh Penguins fell through, and no local K.C. ownership group materialized in either league. “The difference in Seattle is we have an ownership group that came in at the beginning of the process,” Leiweke says. That “pre-baked” group includes billionaire investment banker David Bonderman and Hollywood movie producer Jerry Bruckheimer to own any future NHL franchise. Bonderman, a minority owner of the Boston Celtics, also likely would partner in any NBA franchise. Leiweke has quietly approached several Seattle-area residents to play a local NBA ownership role as well. Among locals negotiating NBA ownership with OVG are Chris and Ted Ackerley, whose late father, Barry, owned the Sonics from 1983-2001. Both spent years helping run that team and say Leiweke is best suited to return the NBA because of his relationships and comprehensive business plan. Though the NBA franchise would be a third-party tenant in a city-owned KeyArena run by OVG, Chris Ackerley points out that the Seahawks and Mariners also don’t own their stadiums. The key, he adds, is they have sufficient autonomy from local government and authority over revenue streams. Ackerley says Leiweke’s plan offers those benefits. NBA commissioner Adam Silver agrees with Leiweke’s low-key public approach to basketball returning, adding that serious discussions can’t begin until an arena gets built. 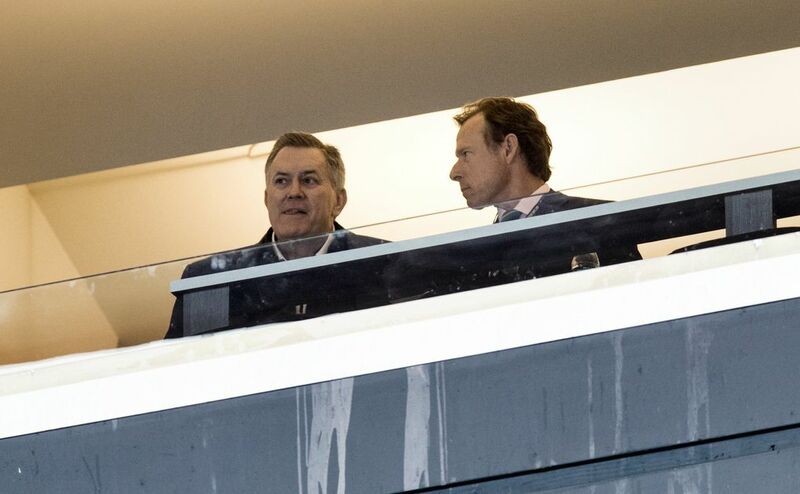 Silver and Leiweke met 25 years ago when Leiweke was president of the Denver Nuggets and Silver had just joined the league’s executive ranks. Silver says Leiweke felt the NBA was a global entertainment property, and the two of them and then-commissioner David Stern spent years discussing how to export it internationally. By 2009, deputy commissioner Silver and Leiweke had partnered extensively on joint AEG-NBA arena ventures in Shanghai and Beijing. They’ve attended many games together. “I have no concern that the building proper won’t meet our requirements,” Silver says of a KeyArena renovation. In a 2012 profile of Leiweke in The New Yorker, Stern described him as “a modern day P.T. Barnum.” Indeed, growing up in St. Louis, Leiweke sold a life-insurance policy to his younger brother Tod, then 16. When Tim was 11 and Tod 8, their mother Helen died from cancer. Their father Jack was financially depleted by her medical bills, so Tim — the fourth of six children — worked after school at a bakery. His dad got Tim the insurance sales job after high school. Leiweke’s younger brother describes a “hardscrabble life” that precluded both from attending college. By 1979, Tim wrangled a job as assistant general manager of the St. Louis Steamers of the Major Indoor Soccer League. Two years later he became vice president and GM of indoor soccer’s Kansas City Comets, hiring his brother as director of community relations. The Leiwekes pioneered in-game entertainment — including darkening the arena pregame and introducing players via strobe lights and smoke machines. The NBA’s Golden State Warriors tried to hire Tim — by then the Comets’ president — as their vice president of marketing. But he declined and told them to call his brother, who got his first sports executive job. Those who know the Leiwekes say Tim sells the vision and softer-spoken Tod keeps everything running. It’s been speculated that Tod would return to Seattle to run his brother’s operation if teams come. But Tod laughs, saying he doubts they’ll work together again. By 1988, Tim Leiweke became a senior vice president and the first employee of the NBA’s expansion Minnesota Timberwolves. He joined a young, hungry promotional team that included future Cleveland Cavaliers CEO Len Komoroski and Sacramento Kings president John Thomas. The Timberwolves made Coca-Cola their “official soft drink” and barred Pepsi from arena sales, signage and game broadcasts. Leiweke also engineered a groundbreaking naming-rights deal for what became the Target Center. They lined up 25 corporate sponsors and set the ongoing NBA attendance record that first season. Golden State Warriors president Rick Welts, a Seattle native and former Sonics ballboy, worked in marketing for the NBA back then. He says Leiweke pushed the league to be more adventurous business-wise. Leiweke caught the eye of Stern, who urged him to become president of the Denver Nuggets in 1991 and build their arena, the Pepsi Center. By 1996, Anschutz had lured Leiweke to Los Angeles. 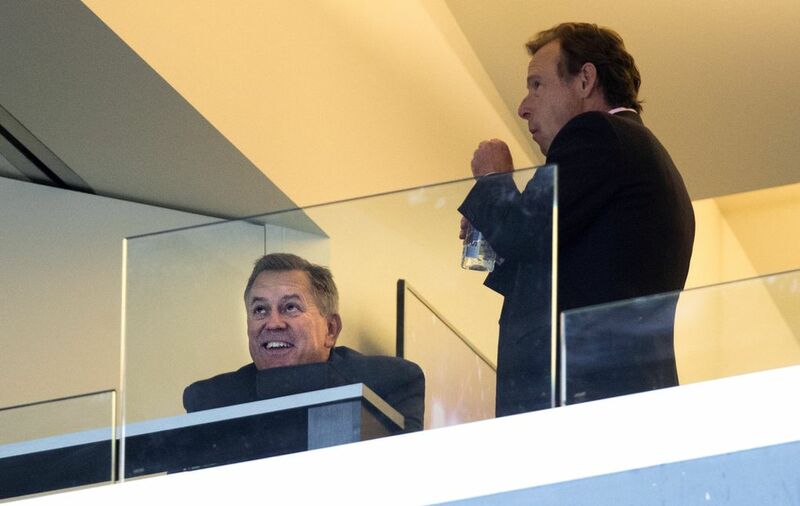 Anschutz’s company was a minority owner of the NBA’s Lakers and became majority owner of the NHL’s Kings, putting Leiweke at the forefront of both. Leiweke helped build Staples Center in 1999, then spearheaded the 2007 opening of L.A. Live — a surrounding multi-billion dollar entertainment district. 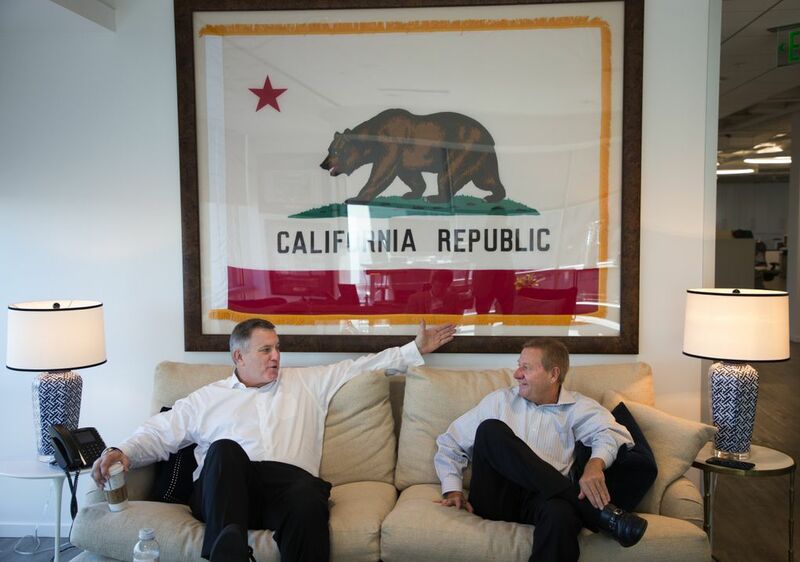 By 2010, Leiweke set out to complete the final piece of L.A. Live with an NFL stadium. And three years later, that would be his undoing at AEG. Staring out the 10-foot-high, floor-to-ceiling windows of his 21st-floor private office towering over West L.A., it’s tough to imagine Leiweke failing. The office offers plaque, trophy and photographic testament to Leiweke’s successes. His private bathroom has a backstage photo of then-President Bill Clinton addressing the 2000 Democratic National Convention at Staples Center. Leiweke lobbied to have the convention there, opening it with a speech of his own. There’s a framed Toronto Sun article titled “The House that Tim Leiweke Built,” referencing his remodel of Toronto’s BMO Field soccer stadium. Leiweke ran the Toronto Maple Leafs, Raptors and Toronto FC for Maple Leaf Sports and Entertainment after his run at AEG ended. AEG executives, who would only speak anonymously, say Leiweke outtalked his ability to deliver. A simmering feud between OVG and AEG boiled over last spring during Seattle’s Request for Proposals process on renovating KeyArena. With OVG’s proposal about to be picked, the competing Seattle Partners pairing of AEG and Hudson Pacific Properties withdrew and accused the City of Seattle of an unfair process. The conflict’s seeds lie in Leiweke’s AEG departure and failed Farmers Field venture. He had secured a $700 million naming-rights commitment from Farmers Insurance Co. and convinced reluctant boss Anschutz to pony up another billion-plus. “We’re going to cut a ribbon, and I’m going to be the one cutting it,” Leiweke told reporters. But he and Anschutz were quarreling; Anschutz worried that revenue projections weren’t enough to repay the project’s $1.8 billion cost. AEG executives questioned Leiweke’s public salesmanship, feeling he was getting ahead of his boss. Anschutz then stunned the NFL and city politicians by listing AEG for sale, hoping for $8 billion to $10 billion. But Anschutz never got his price and quickly pulled AEG off the market. It was simultaneously announced that Leiweke was leaving by mutual agreement. Leiweke says Farmers Field taught him an important lesson. And forming OVG was Leiweke’s way to ensure he was never in that position again. Everybody answers to somebody. Leiweke tells folks he answers to his wife Bernadette, who associates say smoothed his rougher edges. He’ll sometimes answer to his daughter, 32-year-old Francesca Bodie, a Stanford-educated OVG vice president he pushed to take jobs in her youth like he had. She worked at Staples Center in middle school and sits opposite Leiweke in meetings, sometimes challenging him. On this particular afternoon, in a weekly OVG executive team meeting, Leiweke and his media-division president, onetime Billboard magazine honcho Ray Waddell, are butting heads over an upcoming annual conference hosted by the Pollstar concert magazine. OVG bought Pollstar in July, and Leiweke feels some of Waddell’s conference plans lack grandeur. Leiweke elevates his voice and silences the room. 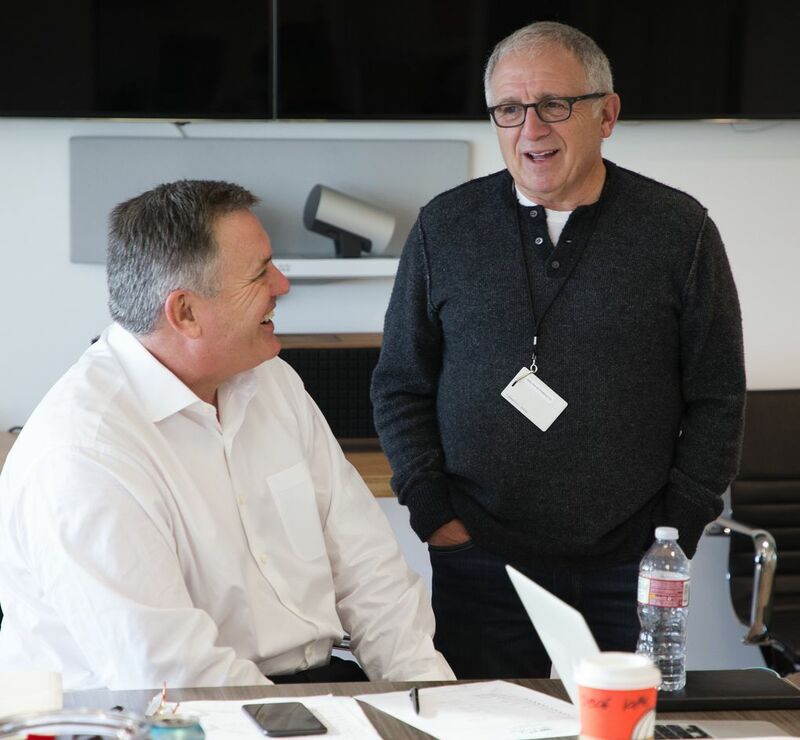 Leiweke has the autonomy from OVG co-founder Azoff and bankroller Dolan to think big. OVG has 110 employees, and its headquarters in the 22-story Westwood Center seem in constant expansion mode. 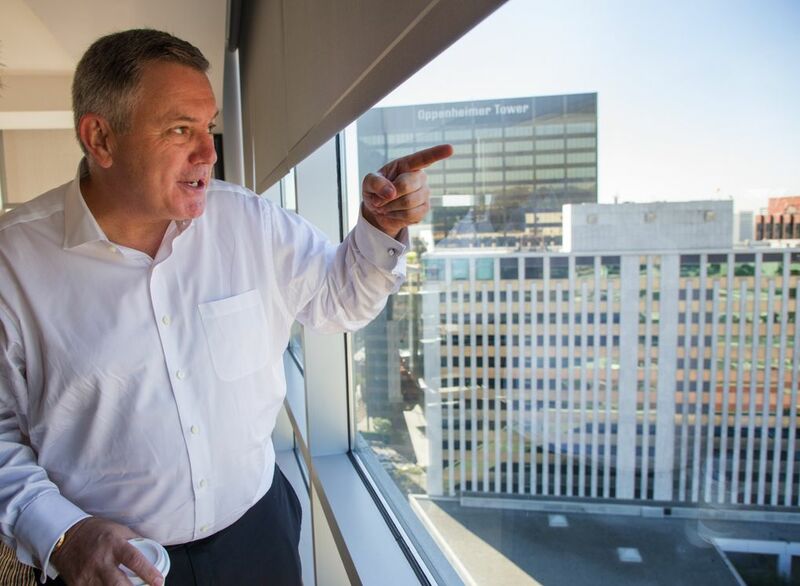 Leiweke had a 10th-floor bank of offices but three months ago grabbed 20,000 square feet on the 21st floor. Meeting that morning with OVG general counsel Christina Song, Leiweke tells her to hire another lawyer to ease her mounting workload. During lunch, Bodie and an OVG manager lean in to ask what registration number Leiweke wants embossed on the Dassault Falcon 900 jet the company is leasing for its growing overseas business. 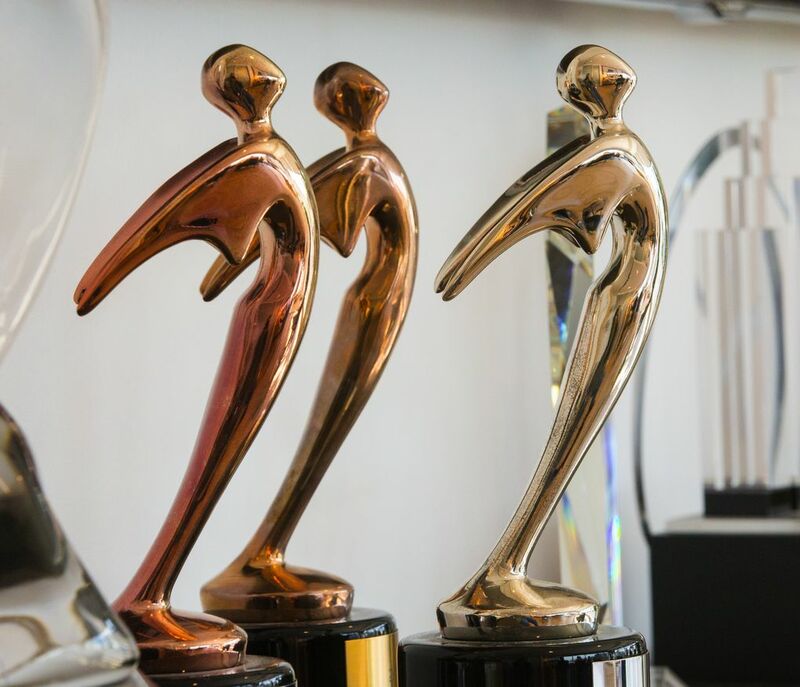 Azoff’s offices are one floor below, so the legendary manager of The Eagles frequently drops by. The tough-talking Azoff has long been nicknamed “The Poison Dwarf” for his short stature and cutthroat demeanor. “Irving is the one guy I feel I still have to answer to,” Leiweke half-jokingly tells staffers. Azoff has known the Leiweke brothers more than 20 years. A basketball fan from Illinois, he has known Silver about as long as Leiweke has. Azoff laughs at how some view the KeyArena renovation as his secret plot to fill it with only concerts. 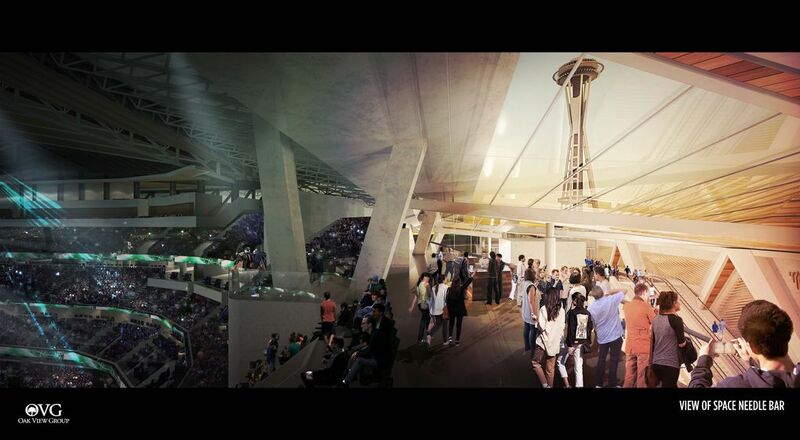 And while Hansen’s project lingers in Sodo, the Seattle City Council for now is giving Leiweke’s venture the only look. Associates say Leiweke doesn’t do waiting well; he excels at the big picture, preferring others do the bureaucratic cleanup. “He knows how to surround himself with the right people and figure out things that he may not necessarily know,” Jeanie Buss says. Still, he’s not beyond nitpicking. Earlier that day, Leiweke decides a youngish financial director sounds too deferential answering a question from Azoff via speakerphone. 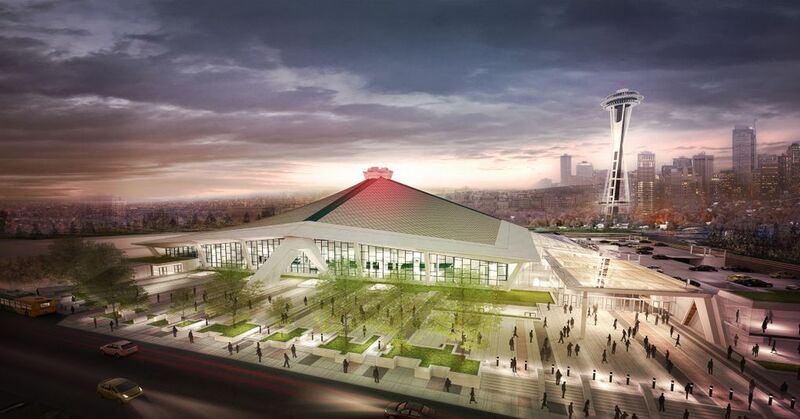 That’s like Leiweke’s approach to KeyArena — a symbol of his new company and corporate freedom. No matter who questions his vision, he’ll keep selling it big — with all the conviction he can muster.